Spectacular beach front home on almost 1/2 an acre. This gorgeous and well kept home features an open floor plan with ocean views from almost every window and from the wrap around patio. Designed by colorado architect james strueber this home features many beautifully crafted details such as curved railings and solid wood built-in cabinets, high tongue and groove ceilings, and an abundance windows. The entire home is filled with light due to the south/west orientation, windows and skylights. The living room has an artfully designed fireplace hearth with display alcoves along one wall and white water ocean views along the entire west facing wall. There is a dining area and a formal dining room, both are open to the kitchen and living rooms and both enjoy ocean views. The master bath has a soaking tub and a shower-sauna the well appointed gourmet galley kitchen boasts a stainless viking 6 burner stove with a commercial stainless hood, stainless sub zero refrigerator/freezer and of course white water views. This quiet and secluded home is nestled into a beautiful wooded habitat of towering monterey cypress as well as many other native trees and plants that grow along alva creek making it's way to the ocean. The wrap around deck/patio offers many areas to relax in with stunning ocean views and steps down to a hot tub and the lush and enchanting gardens that include a beautiful fountain, stepping stone walk ways and direct access to the beach. Information not verified. Seeking buyer/lessor to develop a hospitality property delivering tax generating benefits on city-owned property. 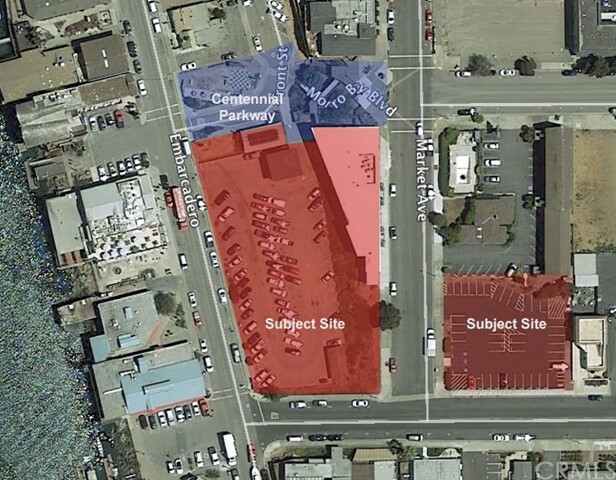 The city is offering this property to a lessor/buyer with the intent they develop a hospitality project generating on-going tot (transient occupancy tax). The zoning allows for a wide range of tourist service uses; zoned c-vs/pd/s. 4 (existing restaurant and parking lot) and c-vs/pd/s. 3/s. 4 (upper parking lot). 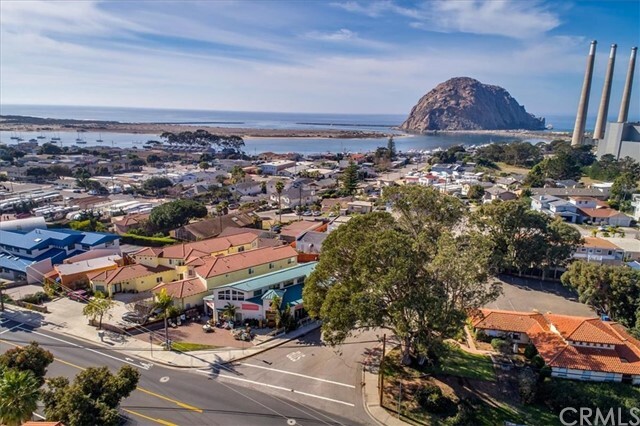 The project sits partially on the embarcadero, the main tourist area in morro bay. The balance of the property rises up and sits on the bluff overlooking the embarcadero and morro bay. Subject property is +/- 1. 42 acres. Call listing agent for showing instructions. Pre-approval required for touring property. Imagine buying this 5. 4 acre estate, inside the city limits, with all city services, with an amazing ocean view, residential agricultural zoning, and outside of the coastal zone to build a beautiful home and adu "accessory dwelling unit" for mom and dad. With this much land you have elbow space to build extra garages, a barn, corral pens, and have plenty of room for the kids to raise their pets, animals, and 4h or ffa projects. Plus potential 3 parcel lot split make this a great long term investment. Call your realtor today!